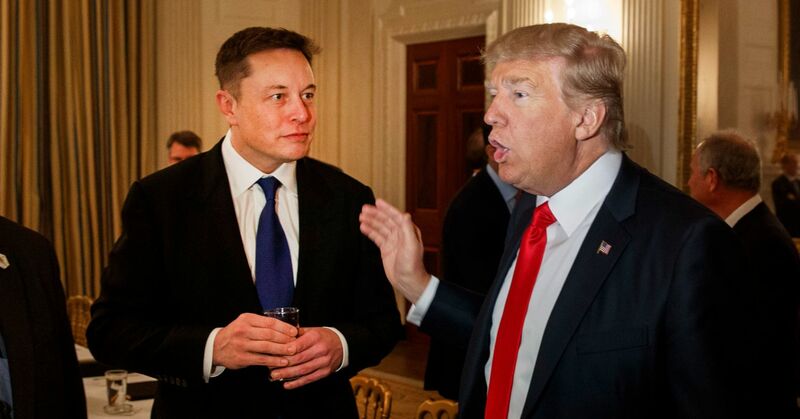 At a quick glance, Donald Trump and Elon Musk couldn’t be more different. Elon Musk is a Silicon Valley messiah who made his billions building companies focused on renewable energy, private space travel, and disrupting the payments world. Donald Trump is a reality TV star, world-class marketer, and real estate developer turned president. But if you dig beneath the surface the similarities between the two charismatic leaders on social media are hard to miss. Trump is now famous for name-calling, insults and trash talk on Twitter. From political opponents to companies to everyday citizens who criticize him — Trump rode his streetfighter persona on social media all the way to the White House. It wasn’t the first time Musk attacked individuals. He’s picked on short sellers — people betting against Tesla stock, including billionaire hedge fund manager David Einhorn — saying he’ll send him “short shorts to comfort him through this difficult time.” Einhorn responded to the lighthearted jab. Musk also called one transportation critic “an idiot” last year. Trump calls stories he doesn’t like “Fake News” and has called the press the “enemy of the people. The Tesla and SpaceX CEO has gone after the media, too. After some negative press, Musk decided the business model of the “holier-than-thou” media was to blame. He also suggested creating a site where the public could rate the “core truth of any article” and track the credibility score over time. Of course, websites with this general purpose already exist. And let’s not forget that Musk gets plenty of good press too, literally being compared to a superhero on magazine covers. While both seem to tweet from the hip — let’s remember they are talking about serious issues. There are concerns that Trump’s tweets could have disastrous repercussions, from economic battles to potential nuclear war. Are his tweets official government policy? Should @realdonaldtrump be in the national archives? A judge recently ruled that Trump can’t block individuals from his account as retaliation for the political views of that person. Musk ran into similar grey areas this week when he tweeted about taking Tesla private. It’s being called the most valuable tweet of all time because Tesla’s market cap jumped by billions of dollars after the tweet. But there could be some legal backlash. He said “funding secured,” which could be viewed as fraud by regulators if it’s not true. The whole tweet could also be seen as market manipulation if its purpose was to move the stock and squeeze short sellers. Regardless, such an announcement from a major company in this fashion is unprecedented. 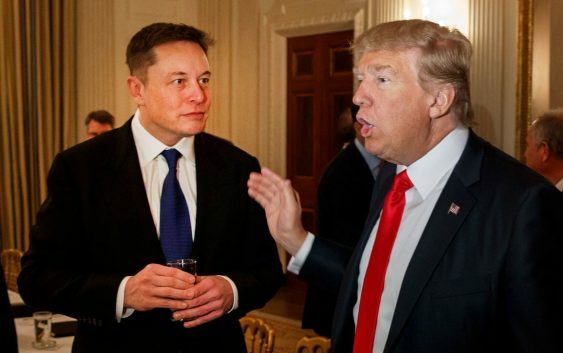 These off-the-cuff tweets from both Trump and Musk often result in damage control — leading to headaches for PR reps from the White House to the Gigafactory. Of course, a social media platform like Twitter allows anyone to engage with these two powerful men. But before you tweet snark at them, make sure you’re ready for the backlash from their rabid fan bases.